However, when you end up spending all of your laundry money on a terrible skee ball run, you're left with zero prizes and a pile of dirty clothes sitting at home. Well, if hacking a vending machine tickled your fancy, but you're looking for something to satisfy the arcade gamer in you, I've got your back. Instead of relying on chance, you can utilize a particular set of skills only known as cheating. But let's be honest, there could be a nicer term for it, so for the sake of trying not to feel guilty, let's call it arcade hacking. The jump rope game can be found in almost any arcade, so chances are you'll have an opportunity to try this one out, courtesy of YouTuber liveitbabexoxo. Make sure you have friends around to be a lookout, and simply use your hand to do the jumping, which will give you a lot more control. More control = more tickets! 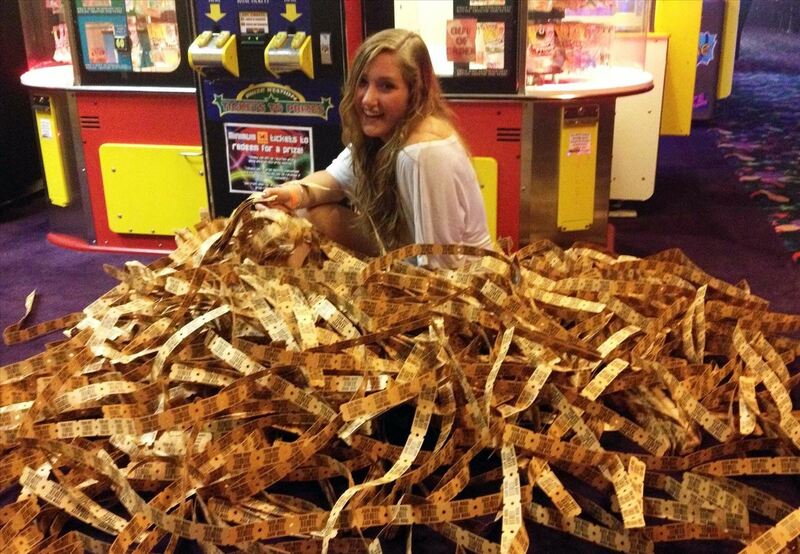 If you find yourself surrounded by retro games, a quick way to gain two or three more tickets is by pulling the tickets you already won. As Trippy points out, make sure you slowly pull the tickets out, because the faster you pull, the easier they'll will rip. Slow and steady wins the race, but make sure you're not seen, or have a good excuse handy if you get caught! These stacker games can be found in malls, airports, and arcades throughout the world, and 302RELL has a great hack for them. To win multiple prizes, play the game like you normally would. When you're ready to select your minor prize (because let's face it, none of us are skilled enough to actually win the jackpot), press the select/stop button and continue button at the same time, then hold the continue button until you empty out the row. Cha-ching! If you've tried your hand at getting more tickets with older games, you'll love this hack from Damon Fong. Start by pulling two tickets out slowly. You will feel resistance, so again, be careful. After you pull out two tickets, you should feel a click. At this point the resistance will stop and you can pull out the whole roll if you'd like. Arcade hacking doesn't have to involve the actual games. If you find yourself at an arcade with an automated ticket counter, you're in luck! According to MrJonnyEspo, if you jerk the tickets back and forth, the counter will think you have more tickets than you do, leaving you feeling all sort of ticket-rich! This hack actually involves some MacGyver skills, which Phidang16 definielty has. Grab some straws from your kitchen or snag some from the arcade you're in, then make two swords by connecting the straws together. Find the slot you want to guide it to, stick your straws in there, and stick the ball between the straws—the straw sword acts as a bumper like in bowling. Usually these games are found in children's arcades, so this hack is pretty much like taking candy from a baby. Which ever of these hacks you choose to employ, remember to be very careful. Always have someone be a look out, keep your eyes peeled for cameras, and make sure it's completely safe. Even though you know it's just arcade hacking, the rest of the world still sees it as cheating. Which one of these have you tried before? Did any of them not work? Let us know which one of these is the most effective in bringing us to the sweet promise land known as the prize wall.